Representatives of all partner countries came together in the offices of Skills Norway in Oslo from the 25th of April until the 27th. The progress meeting started with a packed agenda, with a focus on furthering the discussion on tools development, an update from the research partner and a presentation of all partners on the planned field trials. Partners also had the opportunity to meet with the new external evaluator, who took some time to present his future role in the project. The main body of work during the meeting focused on the development of tools. The partners discussed the online competence self-assessment tool, one of the deliverables of the VISKA-project. 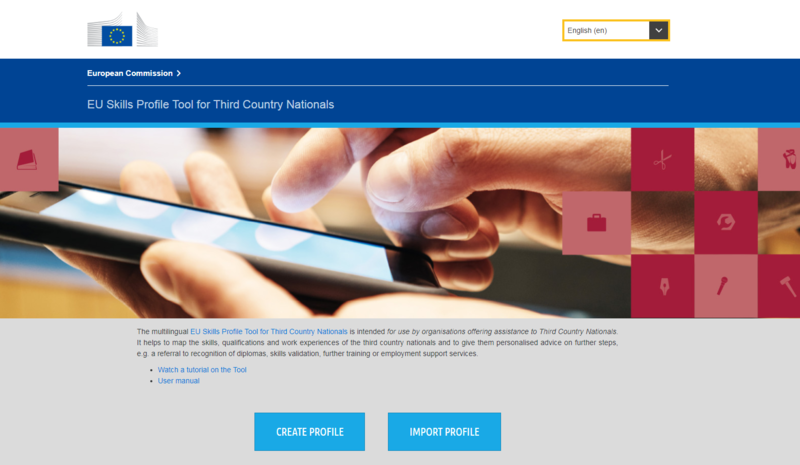 The use of the EU Skills Profile Tool for Third Country Nationals was discussed by all partners. Throughout the VISKA profile, this tool will be tested and feedback will be provided. The lead partner for this work package, ETSC, have presented a two-day course for validation staff in Iceland. While the different countries may look into different modules, the consortium could cooperate to set up a format for training sessions and suggest the content for those modules, described in learning outcomes. Last but certainly not least, the partnership discussed the importance of holistic quality assurance measures. The consortium will discuss ten QA factors, as suggested by ETSC. The partners discussed the main goal of the VISKA project, which is to have an impact on policy, be it at a local, regional, national or international level. The consortium has agreed to formulate a number of outcomes, per intervention, not only of a practical nature, but also with regards to the impact on policy. During the meeting in Oslo, partners hosting field trials gave a brief presentation on how the field trials will be conducted, including all possible challenges. These partners are currently occupied with recruiting participants for the field trials and engaging their National Advisory Groups as well. The coming month, partners hosting field trials will post on the VISKA website what their aim with the field trials is and what they will try to achieve in their countries as part of the project. The partners will convene again in the first half of September in Reykjavik, Iceland.